But Franken seems to like the idea of sending his own children to private schools they attended Dalton School in New York City where tuition is $44,640 per year. Dalton is known for educating celebrities and children of royalty, alphanews.com reported. 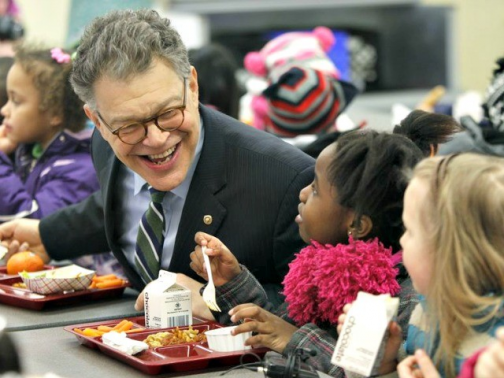 According to an interview with Harvard Magazine, Franken was a math and science whiz as a boy, alphanews.com reported. As he approached secondary school years, his parents wanted to find a better school for their gifted student. Franken ended up attending and graduating from Blake, one of the most exclusive private schools in the Minneapolis area, where the tuition for upperclassmen is currently $29,025 per year, alphanews.com reported. For more info ... please click the ( Breitbart ) previous Hat/Tip link.